Volunteers from the South Tynedale Railway Preservation Society are committed to preserving the community railway, linking Alston Moor with South Tynedale and the wider North Pennines. Youngsters at the local secondary school are rurally isolated and find it difficult to access work placements without travelling long distances with limited public transport. 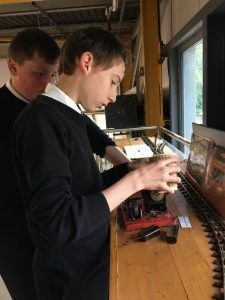 An employability programme was developed, thanks to a £971 grant from the Cumbria Fund, giving 20 Year 9 students experience of completing a job application form and CV, interview techniques and experiencing the world of work for a week in the different departments of the South Tynedale Railway. Students developed critical self-awareness, positive attitudes and practical understanding of the expectations of employers as an underlying motive for self-discipline, achievements at school and involvement in the community. All students passed the competencies, and all have been offered the opportunity to join the society’s youth volunteering scheme with further training in areas in which they have an interest. 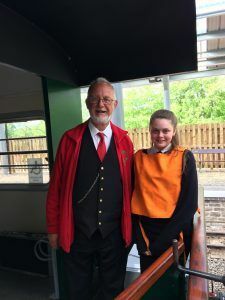 The society hopes these young people will become the operating volunteers of the future, without whom it cannot run a train service. One student accepted a Mechanical Engineering apprenticeship with the society and another was offered a job in the cafe. Three of the students have additionally come out of the placement with a recognised qualification in Food Safety and Hygiene.